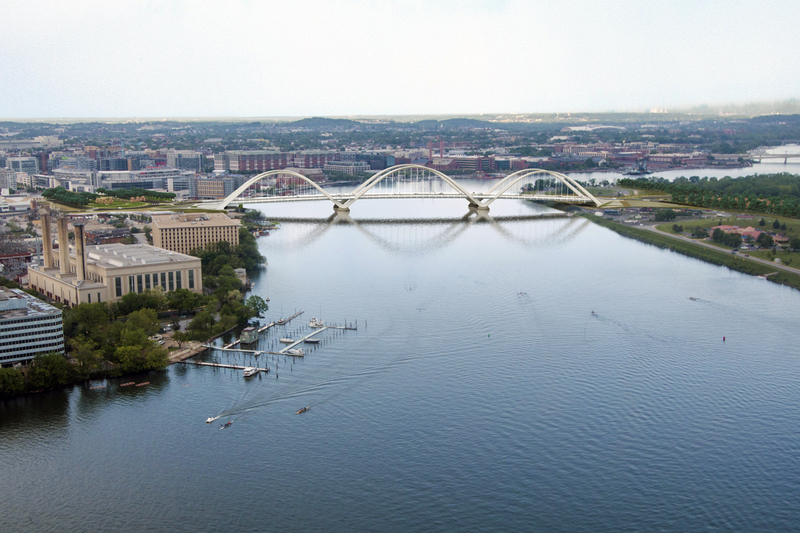 When complete, the new Frederick Douglass Memorial Bridge will cross 1,200 feet over the Anacostia River to replace an aged swing bridge. 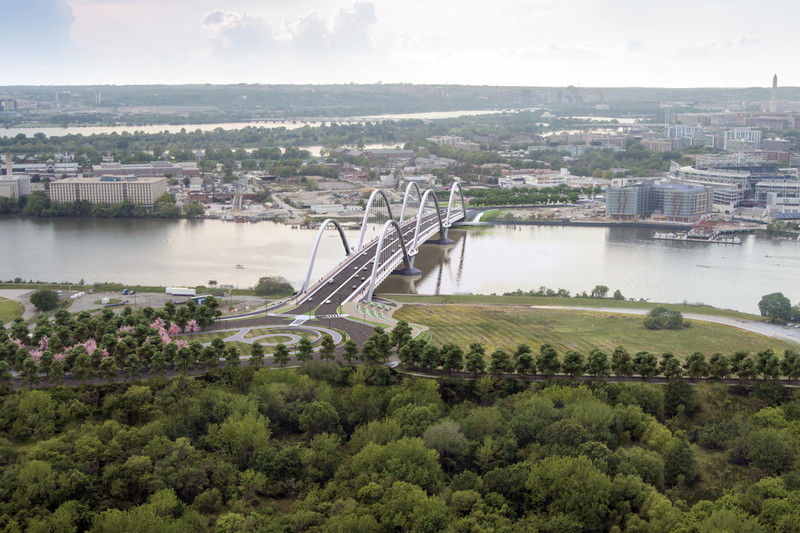 Linking two grand traffic ovals at each abutment, the bridge is conceived as a gateway to South Capitol Street which is itself being remodelled to provide a processional route to Capitol Hill. 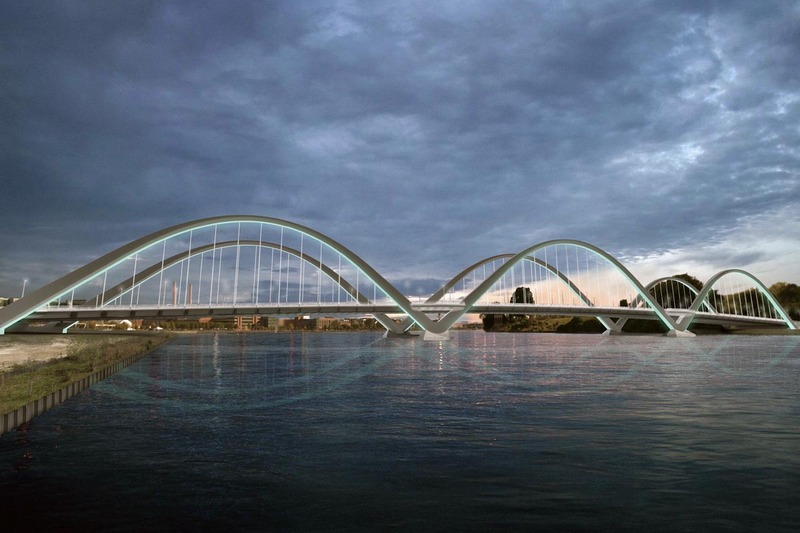 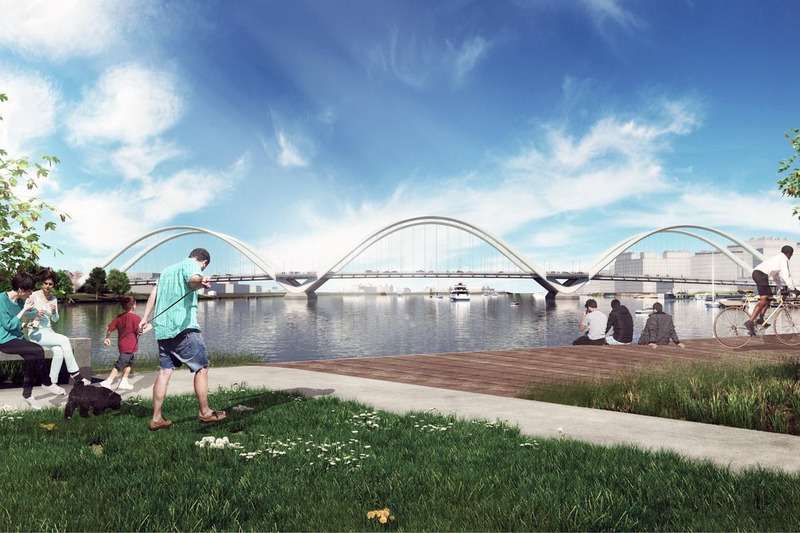 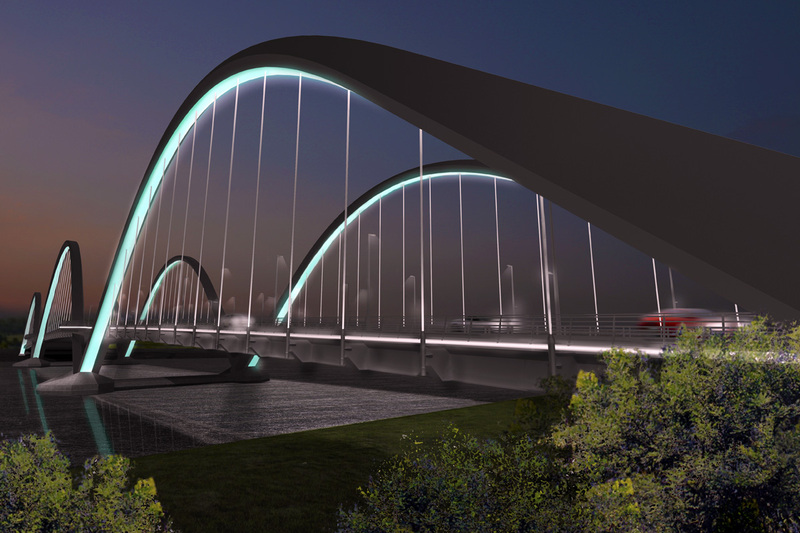 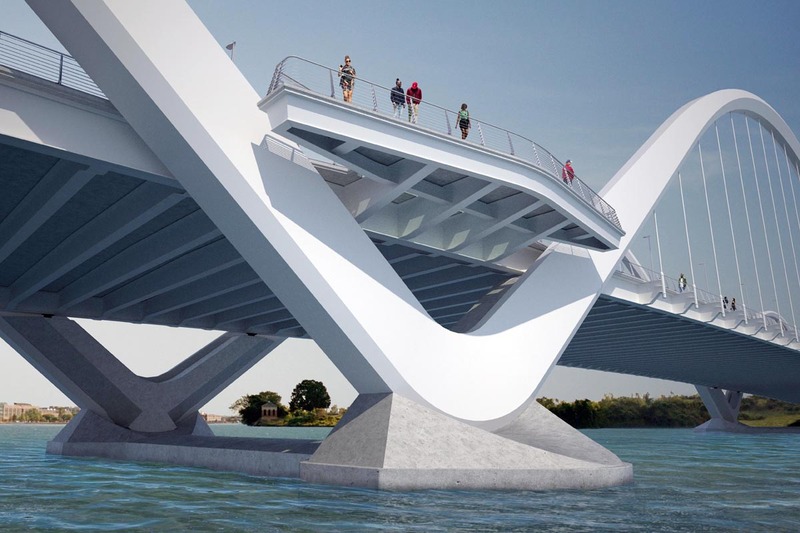 Having previously been involved in feasibility studies for an opening bridge on the same site, BEaM Directors developed the successful multiple arch design and consulted on the visual impact of all CJV proposals. 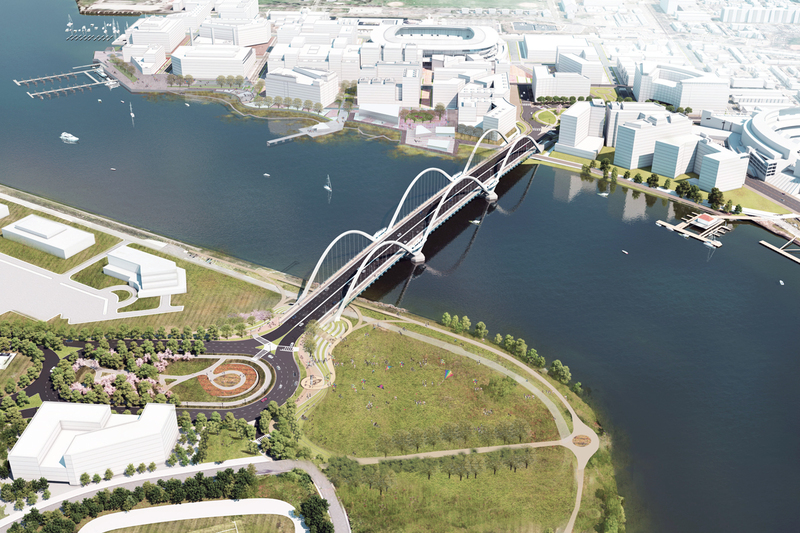 Construction is due to be completed in 2021.